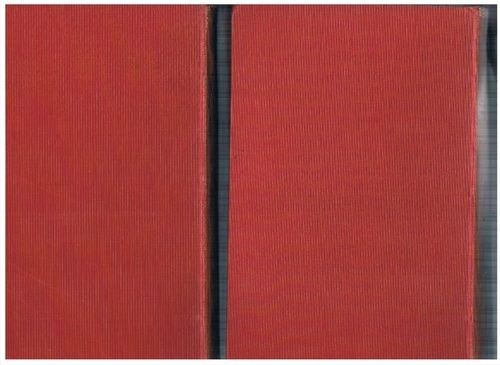 2 volumes, contemporary (1909) red cloth binding, gilt lettered (by John P Gray and Sons, Cambridge). A very nice set, very tight, clean and crisp. spine sunned, spine head to volume two chipped. Original (Parker & Sons, Oxford) receipt loosely enclosed. ; The owner of this attractive set was H J R Murray, the eldest son of Sir James Murray, first editor of the Oxford English Dictionary. H J R Murray was a prominent historian of Chess and during the course of his research learnt Arabic to further his knowledge of the origins of the game. 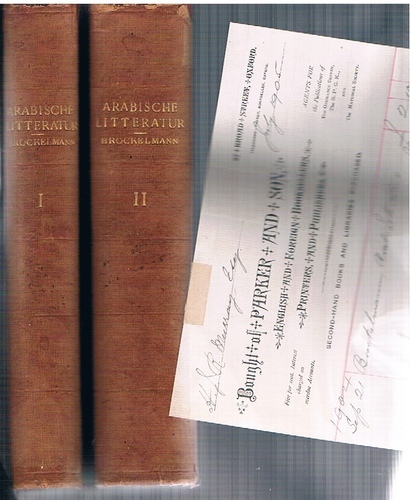 Carl Brockelmann, was Germany's foremost orientalist at the time and his history on Arabic literature, along with his work on Persian literature, remains a classic.